Balloons Balloons Balloons – Two Launches next weekend! Project Horus is having a very busy month! Next weekend, Saturday 3rd and Sunday 4th of December we are flying a balloon on each day for two separate groups. 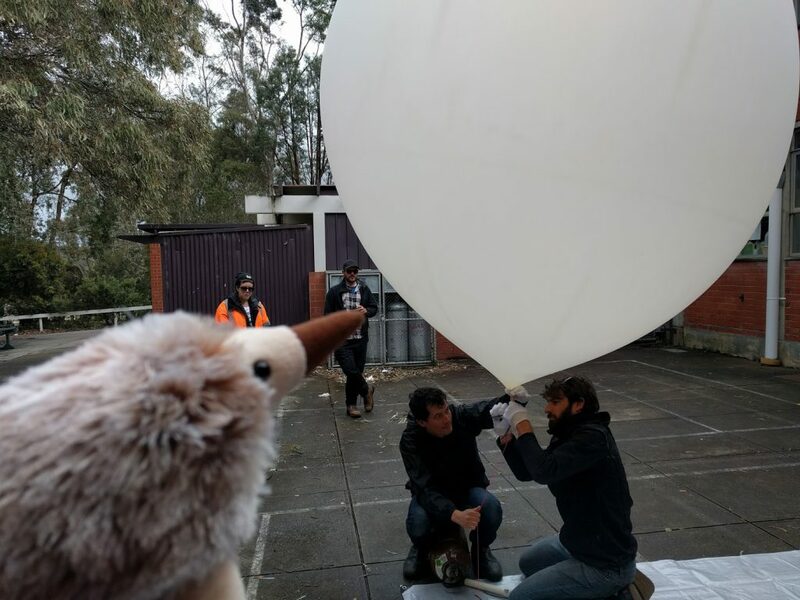 AREG was approached recently by the Tea Tree Gully Council Library to undertake a rather unique balloon flight. Their mascot, “Anstey the Echidna” wanted to go into space, having already been around the world to France, Italy, Ireland, Japan and New Zealand. Of course the Project Horus crew was happy to oblige! We are hoping to not only record the film of Anstey’s journey on a GoPro camera, but the images from the flight are also going to hopefully be beamed down to earth live over the new ‘Wenet’ SSDV system that the project team is developing. 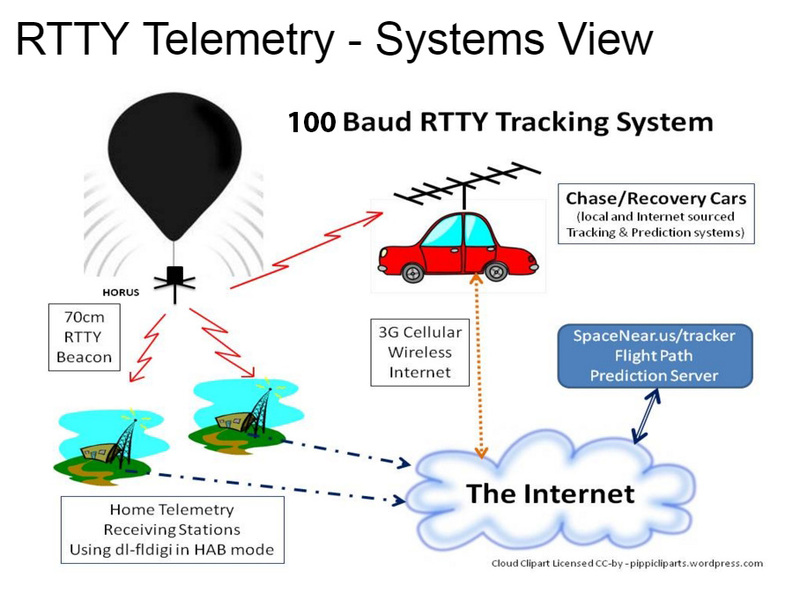 Amateur Radio operators will be able to help out with the flight through telemetry collection from across SE Australia. Anstey checking out the previous flight, learning how it is done! 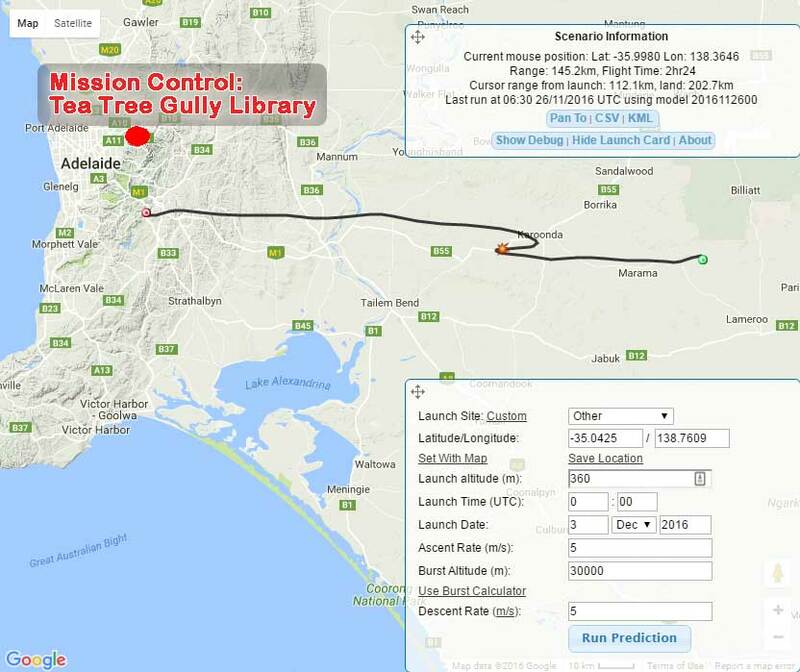 Anstey’s flight path is predicted to take her at least 30km up into the stratosphere, and roughly 150km down range into the Murray Mallee. AREG and North East Radio Club members will be tracking the flight from a number of locations, and will have chase teams following Anstey on her journey. The second flight of the weekend will take place on Sunday 4th December. This is a flight for LaunchBox for one of the Schools here in Adelaide. Once again student science experiments will be flown, hopefully inspiring more young people to take up a career in science.